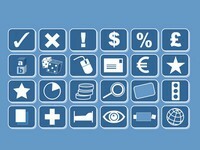 We have a range of 94 small clip art icons to use in your presentations. They are all PowerPoint vector based shapes which mean that you can change the colours as well as scale them up in size. A range of small clip art – each icon can be used as part of your Powerpoint presentations. It is all in PowerPoint and can be coloured in or scaled to size. 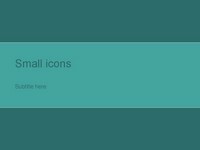 Suitable for use to help show sections of a presentation or as a range of navigation buttons. Thank you so much for offering such wonderful things for download. Its helping me a lot in my work!!! Thanks a ton! Thanks for the downloads. Its great when developing slides for teaching. I’ll use one graphic for school presentation. Thanks A lot. 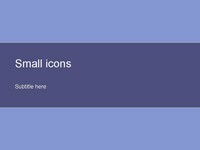 I having problems though when I am trying to copy and paste the icons in my presentation. They get a different color and some times I can not see the shape. this is great!! I will use it!! I am a business management student who is currently preparing a presentation. 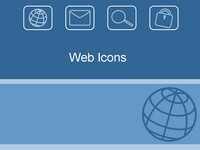 I will utilized these excellent icons in the presentation. 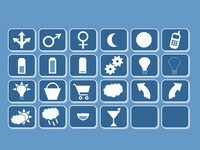 Fantastic set of icons! I find these really helpful in my teaching materials, and also as navigation buttons on my Moodle sites! Thank you very much.. This is so much helpful. God Bless. I have never seen such a good site for downloading templates.I am a medical college teacher,it will make my presentation beautiful. You guys a great. It’s nice to know that there is people out there like you guys helping students like me. FANTASTIC JOB. Gold STARS all round. thank you for creating such wonderful templates. I love it soo much.. May God Bless you always.